The Tackiness Check instrument measures the adhesion or tack of rubber materials, adhesive tapes, sealants and other materials. Tack is defined as the force required to separate two sheet materials which are compressed together for a specified time. The factors which influence the behavior of tack are: contact pressure, contact time and temperature. 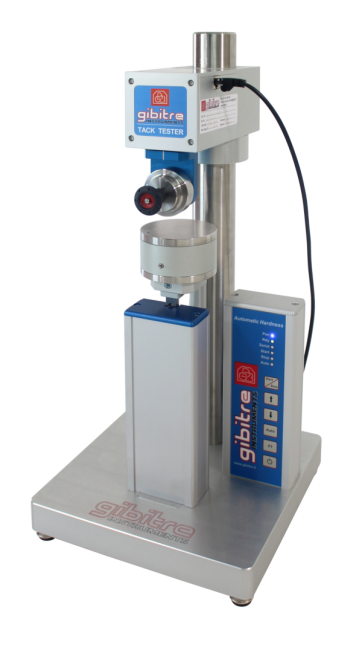 The instrument produced by Gibitre permits to set the test cycle and allows accurate control of adhesion force and time. 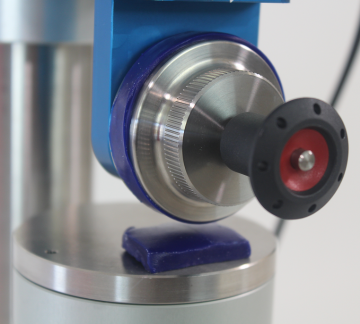 The instrument permits to press the indentor against the sample with controlled force for the set time and to measure the force needed for separating the sample from the indentor. • Serial/USB port for the connection to the pc. 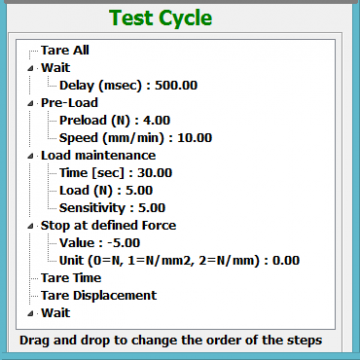 Force-Displacement Software (release 9.0) for the management of force vs. displacement test unit. - Set of customer defined test cycles: displacements, speed, run, max force.